Returns/Refunds - As per conditions of original manufacturer. Made to order, special order or custom ordered items are NCNR (Non Cancelable - Non Returnable). In some cases returnable items may have restocking fee as per original manufacturers policy. Where applicable, returns are accepted 15 days from original purchase date. 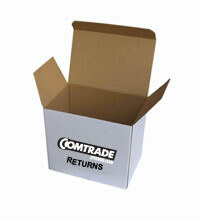 Returns are made directly to the manufacturer by using RMA (RETURN MERCHANDISE AUTHORIZATION). In order for the manufacturer to accept returns certain conditions may apply. Items shipped directly from the manufacturer or special order items are non returnable and non cancelable. Return shipping is covered by the purchaser or as per original manufacturers policy. Original shipping cost is non refundable. Note: Once the order ships it can not be canceled. Condition for returns: All equipment needs to be in its original packaging and unused in order to be returned for full refund. The refund is issued in the original form of payment. Domestic drop ship (By weight, Overnight, 3 day, Ground), UPS/Fedex Collect. Note: Not all shipping methods available for orders going to Hawaii and Alaska. Shipping cost is subject to change and is not guaranteed. International USPS Priority/Express, UPS, DHL or Fedex Economy. "The product shipped transfers to customer at the shipping point. 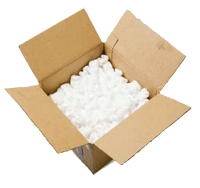 We are not responsible for lost or damaged items during the shipment." Delivery times are an estimate only by original manufacturer and not guaranteed. Any cancelation requests because of delayed delivery is only accepted for in stock items or as per original manufacturers policy. Note: If you wish to use your own freight account number for shipping charges please let us know and we will adjust the cost. Overnight service available for next day week days only for items in stock. If next day delivery falls on weekend overnight delivery will be made on Monday (except holidays). No local pick ups available. We strictly sell online and fulfill all orders through the mailing system. We appreciate your understanding.